Despite certain NFL players proposing meetings that include him, and an NFL spokesperson indicating last week that he expected an invitation to be extended, Colin Kaepernick is being frozen out of meetings on social justice between the NFLPA and NFL owners, according to a report from Slate. 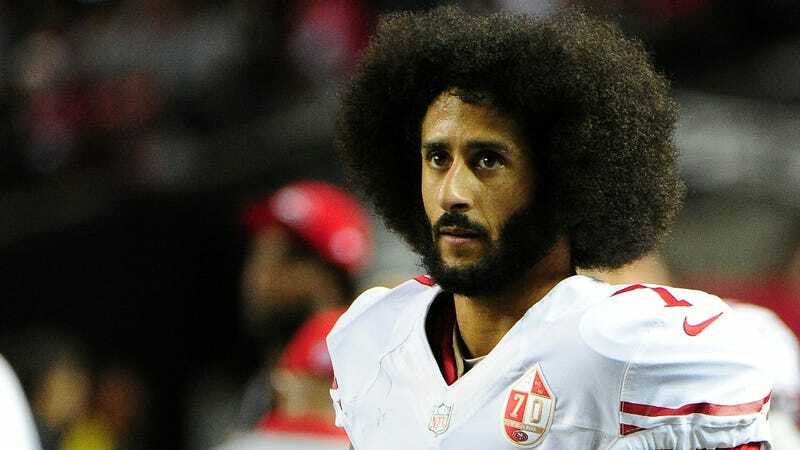 While Malcolm Jenkins, who co-founded a group known as the Players Coalition, said that Kaepernick was invited but did not attend player-owner meetings earlier this month, Kaepernick’s team was reportedly shut down when they reached out to both the NFLPA and the Players Coalition. “We were verbatim told that Colin had no role,” Kaepernick attorney Mark Geragos told Slate. Kaepernick’s legal team also reportedly had no knowledge of a proposed meeting between Roger Goodell, Bob McNair, and Kaepernick before a letter from the Players Coalition was made public. Emails obtained by Slate between Kaepernick’s lawyers and the NFLPA also appear to back the claim that Kaepernick has not been invited to any player-owner meetings, which have been scheduled by owners and the Coalition, without direct involvement from the Players’ Association. Earlier in October, Kaepernick filed a grievance against the NFL alleging that his continued unemployment is the result of collusion among NFL owners.